Theater has always been a forum to push boundaries and open minds. The show is about a Millennial blind date. The show acurately portrays Millennial language, music and story. It was beautifully crafted and hilarious. My conservative family gave it highest recommendations!!! Horrible show! Many f-bombs, explicit sexual content, and every other swear word galore. 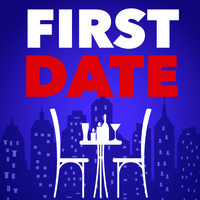 My wife and I went to the play "First Date" last night at the Grand Theater at SLCC for Valentines Day and wish we could have left before the play was over but didn't because we would have had to walk across the performing stage as it was a backstage set. Wish we still did. Unfortunately there was no intermission at which we could have left. Wish the theater would have gave some indication on the play synopsis to indicate the type of vulgarity that would be displayed so we would have known not to go. The description of the show they give makes it sound like innocent and delightful comedy which it was not. As the majority of the audience was elderly, I'm sure there were many who were as shocked and disappointed as we were. I'm appalled that SLCC would endorse such a show as this. I wonder how many of the paying sponsors they list on the program would want to drop out of endorsing The Grand Theatre after watching such a show. The actors and actresses were actually extremely good, but the content was so horrible and could have been done without all the vulgarity and been the delightful play it was described to be. This seems like the type of show you would see at a nightclub, not at a community college theater. This was our "first date" to the Grand Theatre at SLCC, and with them being willing to put on a show like this, it was certainly our last. Hopefully this review will warn those who don't want to see this kind of entertainment.